Dr. Stephen A. Mabry is a Northern Virginia native who attended local public and parochial schools. He is a graduate of Gonzaga College High School and received his B.A. from Boston College. 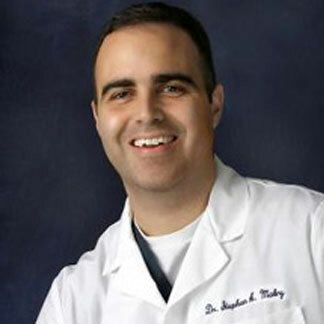 Professionally, Dr. Mabry is a graduate of the New York University College of Dentistry. While at NYU, Dr. Mabry completed a student residency program at Manhattan's Mount Sinai Hospital and was also the recipient of the College of Dentistry's Dr. Bernard E. Rudner Award for Excellence in Oral Comprehensive Care. While attending NYU, Dr. Mabry was honored to be selected to deliver dental care at the New York University Faculty Dental Practice. The NYU Faculty Practice is operated by the teaching faculty of the University's College of Dentistry. Dr. Mabry lives in Arlington with wife Megan and daughter, Emma. Megan, a former school psychologist for New Jersey Public Schools, enjoys volunteering for school and community events. Emma loves being a member of her swim team and studying ballet at a dance studio in the county. The family enjoys living in Arlington, spending time with their friends, and walking their dog Maggie around the neighborhood. When he’s not in the office or with his family, Dr. Mabry enjoys playing basketball with a group of friends each week.